There are a lot of romantic notions about wildness that make some people want to own a wolf or wolf-dog hybrid (or wolfdogs as they are commonly called) but the reality of owning these animals is far more difficult than most people anticipate. It’s surprising how much misinformation there is out there about these amazing animals. Such misconceptions are far more damaging then people realize, so let’s try to clear up some of the most common myths about wolves and wolfdogs. Photo by Light of the Dawn Wolfdogs Just because wolfdogs share many similar traits with dogs doesn’t mean that you can keep one as a dog. Until recently, the general assumption was that dogs evolved from gray wolves, but recent research indicates that the common ancestor of dogs and wolves went extinct thousands of years ago. In a 2014 study published in PLoS Genetics, an international team of scientists used DNA sequencing to try and unravel when and where our familiar dogs have come from. The team sequenced the genomes of three gray wolves (Canis lupus) from Croatia, Israel, and China (chosen to represent the three regions where domestication may have happened), two dog breeds (a Basenji and a Dingo, both breeds from areas that have been isolated from modern wolves), and a golden jackal (Canis aureus). They compared the genomes with one another and with the previously sequenced genome of another dog breed, a Boxer (from Europe).â€¨Based on their analysis, the researchers concluded that dogs and wolves parted evolutionary paths sometime between 9,000 and 34,000 years ago. That predates our development of agriculture, supporting the idea that dogs accompanied our hunter-gatherer forebears and only later adapted to an agricultural lifestyle. Of more interest, though, is the fact that the three dog genomes formed a sister group to the wolves, rather than clustering under one of them. That finding suggests that dogs share a common ancestor with wolves, rather than having been domesticated from them. Given their common evolutionary past, dogs (Canis lupus familiaris) and wolves (Canis lupus) share many physical and behavioral traits and are interfertile, meaning they can mate and reproduce. But just because they share similar traits, it doesn’t mean that you can keep a wolf or wolfdog like a dog. 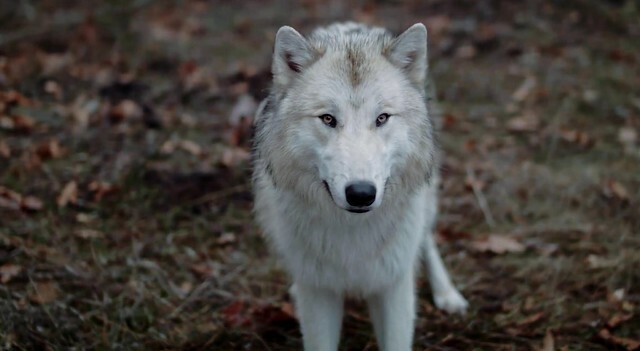 Although hybrids can occur naturally in the wild, they are rare because the territorial nature of wolves leads them to protect their home ranges from intruding canines such as dogs, coyotes, and other wolves. Most wolfdogs being sold or given up for adoption as pets in the US, therefore, have been spawned by breeders. Unfortunately, even though the common assumption is that such crosses as wolf and dogs would be best purchased from a reputable breeder, the fact is that most breeders of wolf dog crosses either have very little knowledge of wolf behavior themselves and therefor can’t reliably inform buyers of what to expect from these animals; or are selling animals that have no wolf in them whatsoever and simply look wolfy. This is dangerous to both buyer and animal. In fact, most claimed wolves and wolfdogs are just dogs that are wolf lookalikes. Most commonly these lookalikes are crosses of shepherds and huskies or malamutes. These animals may fit what most people think a wolf should look like, but have no wolf in them at all. And when these hyperactive working breeds behave badly; such as a husky demolishing a sofa when bored; these characteristics get blamed on the supposed wolf traits. Another example of how this is damaging is when someone has a lookalike that is well-behaved or trained, people assume this obedient animal is how wolves and wolfdogs typically are. They then go ahead and bring home a real wolf or wolfdog expecting the animal to behave like the lookalike they had seen and end up with a completely different kind of animal. Wolfdogs should not be sold to the general public. Most states have specific laws and restrictions about owning a wolf or wolfdog. In some states, hybrids are classified as wild animals and owners are required to possess the same type of permits and caging as for a wolf. In other states, hybrids are regulated as dogs, needing only proper vaccinations and licenses. But really, none of this is enough. People need to be educated a lot more about genuine wolves and wolfdogs and about what to expect from one. Having spent 15 years of my life in the study of wolves and education, conservation and myth-busting around them and their wolfdog variants, I don’t have to make up stories to try to warn people about what the reality of owning such a creature is like. It never fails to amaze how much of what people think about wolves is fueled by misunderstanding and false information. I always try to let people interested in these animals meet my adopted wolfdog. I also help them find local resources, such as sanctuaries and rescues, where they can meet a real wolf for themselves and see how much work even maintaining a proper enclosure for these animals is. It took many thousands of years for humans to selectively breed canines for the traits that make modern-day dogs such delightful companions: congeniality, flexibility, and eagerness to please. It is simply impossible to instill these traits in a wild animal overnight. Many an unsuspecting wolf lover has purchased a wolf or wolfdog pup, only to find that it is largely un-trainable — since it does not care much about pleasing its owner. And as it grows into adulthood it becomes unpredictable, especially around children and small animals. Many such animals end up living miserable lives on the end of a chain after a frustrated owner gives up on trying to care properly for the animal. When such an animal is cornered or frightened and reacts by attacking and the incident reinforces the common misconception that wolves are bloodthirsty and aggressive creatures. Often wolf or hybrid owners who are unable to cope with their “pet” elect to either pass the animal along to another unsuspecting wolf lover or sentence the animal to life at a sanctuary (many such facilities exist, but most are already overcrowded). Some may release the animal to the wild, where it will most likely starve to death or because of its familiarity with people, or may be involved in depredation incidents resulting in a wolf being unfairly blamed. People keen on bringing wolves and wolfdogs home — which is not something I’d recommend unless you are bringing home a rescue animal — need to understand that these animals are high-maintenance. They have little “use” aside from study and companionship. For the average person, they are simply more trouble than they are worth! Most people can understand the concept of not buying a husky if they aren’t willing to put up a fence and keep it on a leash, or not getting a pitbull if they have other dogs and small pets. With wolves and wolfdogs, it’s much the same. You need a certain knowledge base to be prepared for them, you need a secure fence and a quiet and legal location, and they’re not meant for kids or home-protection, nor can they be used as working dogs. Wolves and wolfdogs don’t like being indoors. It will cost quite a bit to feed them because most of them are on a raw food diet. They will require proper enclosures outside; meaning 6 to 8-feet fencing with lean ins and dig guards. They have separation anxiety so they will need a canine companion. They require hours of socialization every single day when they’re young and consistency afterwards to keep them social or they become skittish and reclusive. Wolves are often shy. Very shy. People who have encountered shy dog think they know what that means, then they get an animal who is “wolf shy” and their minds are blown. We have hunted wolves for centuries and they have not forgotten. New humans are terrifying to wolves, unless they’ve been well-socialized. And even then, some don’t socialize well and are always shy of strangers. Wolves and wolfdogs communicate with more body language than the average dog and what may sound aggressive to someone unfamiliar with wolves or wolfdogs may actually just be playful or talking, since these animals can be mouthy and very verbal. A successful relationship with a wolf or wolfdog means you have to build your life around the animal. You have to bend and change to build a cooperative life with your wolfdog.â€¨â€¨Not many people are willing to do that.